It has been known for many years that homeostatic mechanisms maintain a constant internal environment. The constancy of this environment is maintained by various control systems which employ what is known as negative feedback. Control theory, for instance, helps to explain how a system such as body temperature regulation takes place -- how the body can always return its temperature to the same value regardless of the direction of the initial change. 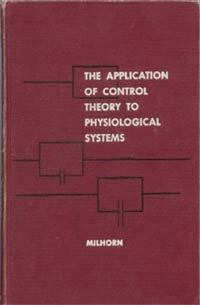 One danger which must be recognized in applying control theory to biological systems is that the researcher should be certain that he or she is doing just that and not the opposite; that is, attempting to apply physiological systems to control theory. This book is an outgrowth of a desire that the author had during his tour in graduate school--that of a text which combined engineering principles with physiological applications. It assumes that the student has had mathematics through calculus and general physics. The material in the text comprises a one semester course, which has the same name as the title of this book, which was taught by the author in the Department of Physiology and Biophysics at the University of Mississippi Medical Center.